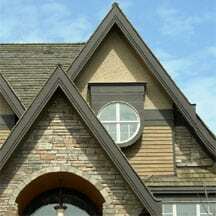 Expert advice on how to install exterior house siding, including estimating the amount of siding needed, sheathing and preparing walls for siding installation. Siding a house is a big job. Though you may be able to save about half the job’s cost by doing the work yourself, be realistic about what is involved. You should be willing to take on the heavy labor, and you should be careful, competent with tools, adept at following instructions, and able, if necessary, to adapt instructions to the eccentricities of your house. If you live in a large house or a tall one perched on a hillside, seriously consider hiring a siding contractor instead. 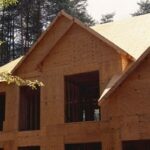 Figuring out how much siding your house needs is a fairly straightforward calculation. Start by measuring each side’s length and width and multiply the two numbers. Use a 25-foot-long retractable measuring tape for calculating siding needs. When you have measured all the sides, add the numbers together. Then calculate the length times width of windows, doors, and other areas that will not be covered by siding. Subtract this number from the first number. This will give you the rough square footage you will need. Next, you will have to adjust that number for waste and the overlap of the siding, if there is any. 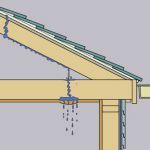 The standard to add is 10 percent, but if your roof is steeply pitched or your house has angles that will require a great deal of cutting, add 15 percent. Finally, check with the manufacturer of the siding your are purchasing to see how much you should add for the pattern you are choosing. Most sidings come with charts to help you make that calculation. The way various sidings are sold depends on the material. Vinyl and aluminum are usually sold by the square foot and trim pieces by the linear foot. Plywood and hardboard are sold per square, which is 100 square feet. If you are siding over an existing wall that is flat and sound, you may be able to nail new siding directly to it. 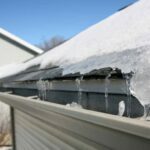 On the other hand, if the existing siding is metal, vinyl, or masonry or is irregular, you must either strip it off or provide a nailing base of furring strips, a gridwork of 1 by 2s or 1 by 3s, on top of it. For siding removal, use a claw hammer and a flat prybar and a “cat’s paw” and a pair of locking pliers for pulling nails. When removing most types of siding, start at the top and work your way down. If you want to avoid marring the wood, use the cat’s paw on the first board and then use a prybar to remove subsequent boards and pull the nails. To remove shingles or shakes from a wall, insert a square-bottom shovel underneath them, lift them up, and pull them off, working from the top down. Pull out any remaining nails. Removing stucco is hard work; if at all possible, apply new siding over the old surface. For an extensive removal job, call a demolition contractor.